I’ve been on a mission lately to drop some weight (like, a lot of weight) so I’ve been attempting to be a little bit more cautious in how I cook. I pulled this out of an old cookbook I intend to make good use of. 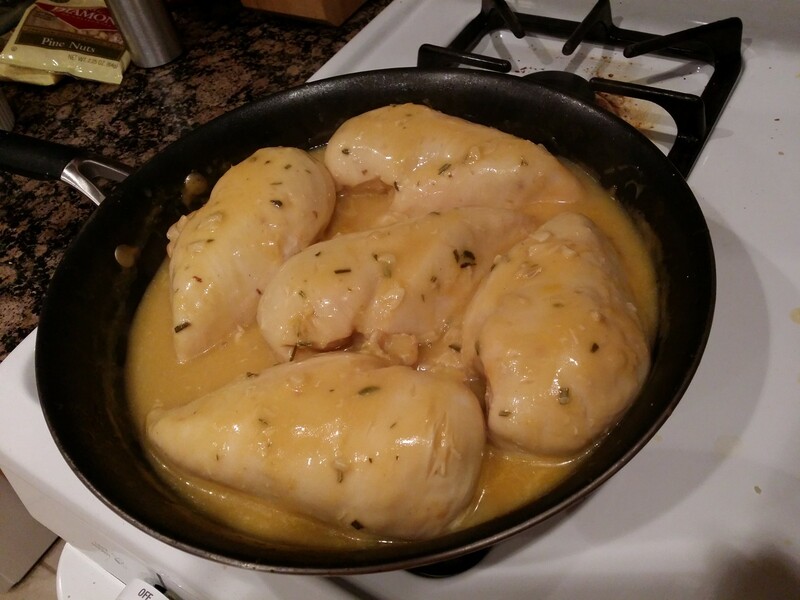 The original recipe called for six 4oz chicken breasts. I haven’t seen a chicken breast that small since, well, since never. So we used five 12oz breasts and made it serve 8 instead of 6. The only addition to the original recipe was a bit of vinegar to brighten up the sauce even more. Additional calories added to the original recipe? 10 per serving. Booyah! 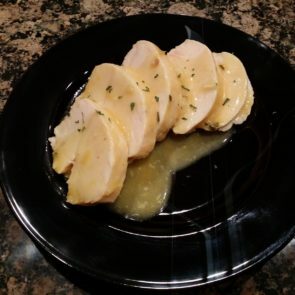 This features a chicken cooked with a pretty tasty sauce made from lemon juice, white wine, and Dijon. It’s not only diet friendly, but even folks not dieting enjoy it! This would go well with rice, or on its own. Finely chop the garlic and rosemary and toss into a blender. Add the lemon juice, white wine, Dijon, and vinegar. 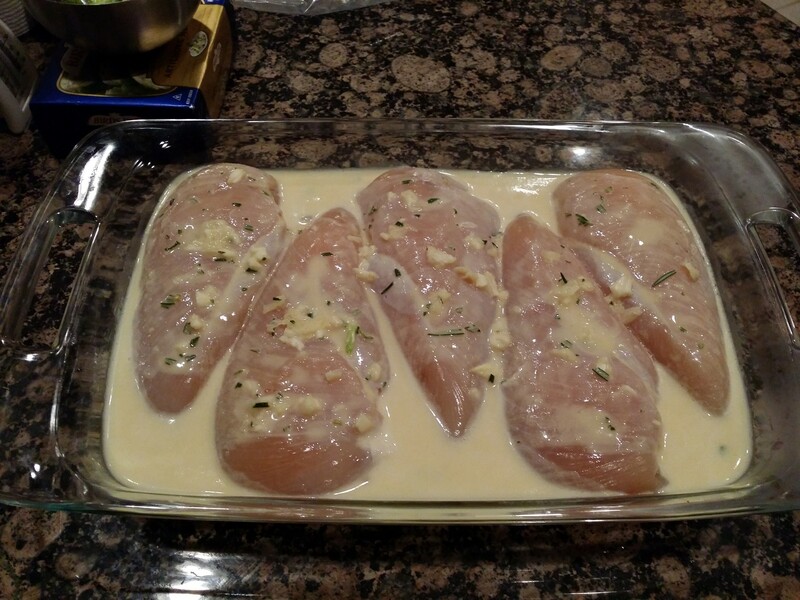 Marinate the chicken in the blended mixture for about an hour in the refrigerator. While the chicken is marinating, add 1 to 2 tablespoons of the chicken stock into a small bowl with the cornstarch and allow the cornstarch to dissolve. Lightly spray a pan with canola oil using an oil mister. Remove the chicken from the marinade and add to the pan. Cook the chicken on both sides until no longer pink. The time on this varies by the size of the chicken breasts. Pay attention to it so it doesn’t dry out. Remove the chicken from the pan and put into the oven to keep warm. Add the marinade, cornstarch mixture, and chicken stock to the pan. Bring to a boil, stirring constantly, and let simmer for 2 to 3 minutes. Add the lemon peel and stir well. Add the chicken back into the pan and cook until done, keeping the meat moist by spooning the sauce over it. Consistently spooning sauce over the chicken while it finishes cooking will keep it from drying out. Using a oil mister adds negligible calories to a dish, as long as you spray lightly! Keep it moist by continuously spooning the sauce over it. You know you want to eat that! 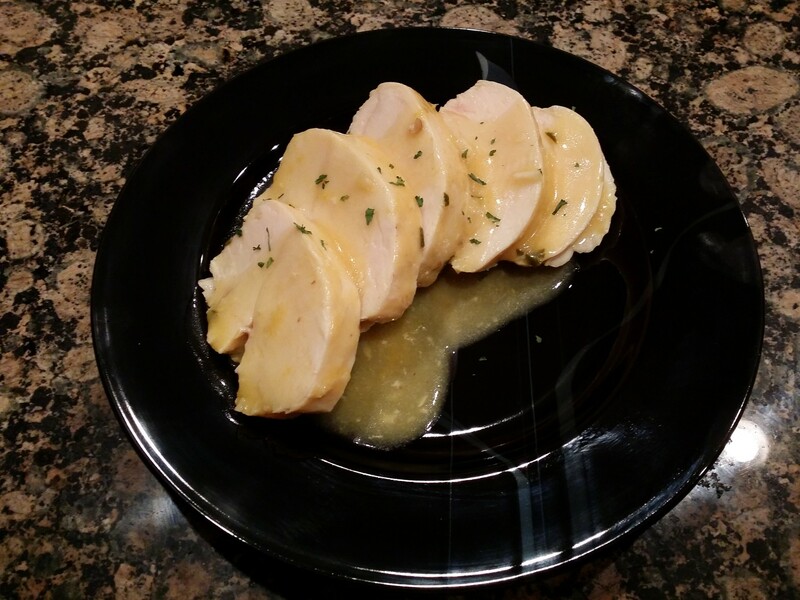 This recipe was taken from Healthy Homestyle Cooking and slightly modified. The book is rather old, published in 1994! But still, there are some great eats to be found in here.